Florence Heights is in Ansal City, a landmark township from Ansals (ground + 11 storied) with exceptional conveniences and architectural innovations. Located on a riverfront, you can experience refreshing ambience of serene surroundings while being short commutable distance from the city. The spacious rooms in Florence Heights create a sense of elegance and convenience. Having affluent amenities inside the township, you can avail all the conveniences without stepping out. 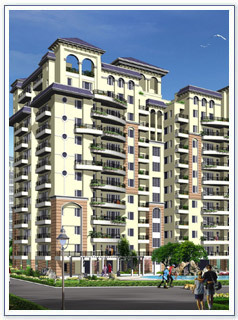 The apartments are delightfully engineered to meet the demands of modern lifestyle. Each Ansal home delivers a blend of quality materials and advanced design and the attention to every detail creates a tailor made home that is exclusively yours.